Disclosure: I received a sample product in order to conduct this review, however, all opinions, as always, are my own! We are so excited to introduce you guys to another great product from our friends at Chewy.com! 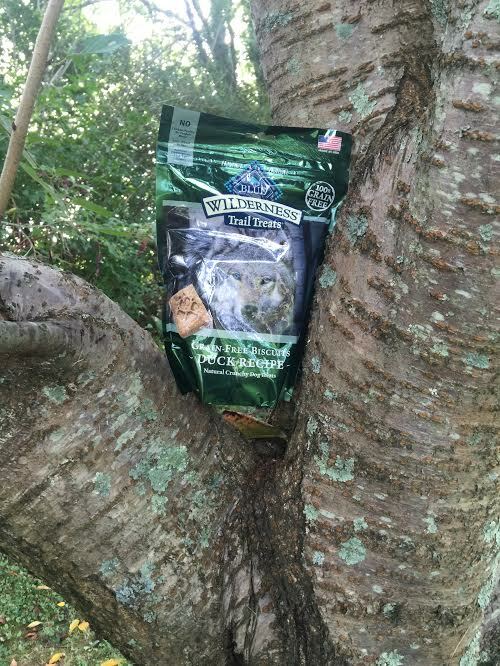 This time around, we got the chance to try out the Blue Buffalo Wilderness Trail Treats, the Grain Free Duck Biscuit variety. These treats are made with no grains, no corn, wheat or soy, and no chicken poultry by product meals. These treats are super high in protein, and contain no artificial colors, preservatives or flavors. They are also gluten free. These biscuits always start with real duck as the first ingredient. Feeding our Lucy girl grain free foods and treats has really become important to us in the last few months, so I love feeding her treats that I can feel good about. I also love that these treats are a good source of protein, so I know that she is getting the energy and nutrition that she needs when she eats these! 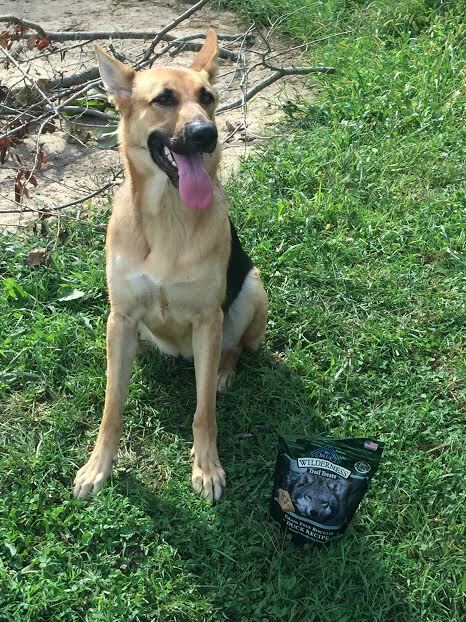 As you can see, Lucy is a huge fan of these treats, and she is always interested in being a good girl so she can get her one! 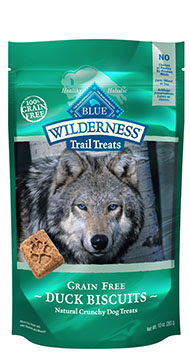 If you are interested in purchasing Blue Buffalo Wilderness Trail Treats for your dog, click here to see all the awesome varieties! They are a great deal at around $5.00 per bag, and as always, buying from Chewy.com means that you are getting a super fast delivery!